Perhaps there are those of you who can remember the little “comic books” entitled “Texas History Movies” put out by the Magnolia Petroleum Company. These cleverly written and illustrated little books were a prime source of Texas history for school kids all over Texas. They had a unique way of making history entertaining which was tantamount to heresy in academic circles. I can still vividly recall a lot of those cartoon like panels. One in particular dealt with the charge of the Texans at San Jacinto. It depicted two cannons firing at the enemy over the heads of the charging Texas infantry and had one soldier yelling “Ain’t them sisters sweet? !” Albeit interesting, that was my first and only introduction to this unusual battery of artillery that played a prominent role in the battle. Needless to say, we had no idea of the men who were actually firing them and how they came to be there. Back in those halcyon days of high school in West Texas in the late 40’s, we of the mighty Olton Mustangs played those devil Levelland Lobos in Friday night football. I doubt if there was a player on either side who would have known anything at all about George Washington Hockley. He was the chap whose role in the stream of Texas History as the commander of artillery at the Battle of San Jacinto resulted in Hockley County, for which Levelland is the seat, being named after him. Heck, we didn’t even know anything about George Lamb, for whom our own county was named. Perhaps not relevant, but certainly worth noting was the tendency in those days to always entrust the teaching of history to the football coach. It was felt that, since the rules required him to teach one academic subject, that he could do the least harm there but that is a matter for another time. It is one of the purposes of the current series of articles on the Texas Revolution to put a face on several of these heroes, many of whose names survive only in the names of County Seats whose residents, for the most part, have little awareness of who they really were and what they did to get a county named for them. One tends to think of these Texans as crude, brawling, heavy drinkers. One of the more pleasant surprises is the awareness that many were well educated men of property and accomplishments. Perhaps this is not too surprising since town drunks and brawlers are not noted for leadership in winning wars and founding Republics. I ask the readers pardon for departing briefly from the story line by introducing you to the man for whom my own home county was named. George Lamb(1814–1836) was a participant in the battle of San Jacinto He was born in Laurens District, South Carolina, on October 3, 1814. Orphaned as a child, he made his home with a family named Bankhead and accompanied one of the sons, Richard, to Texas in 1834. There they established a farm in the western part of what is now Walker County. When Bankhead died on January 17, 1835, Lamb remained to care for his family. Lamb married Bankhead’s widow, Sarah, on June 27, 1835, and adopted his two young children. He joined Capt. William Ware‘s Company D of Col. Sidney Sherman‘s Second Regiment, Texas Volunteers, on March 12, 1836, and was elected second lieutenant. He was killed in action on April 21, 1836, at San Jacinto. Lamb County was named in his honor in 1876. THE STORY OF THE “TWIN SISTERS”. 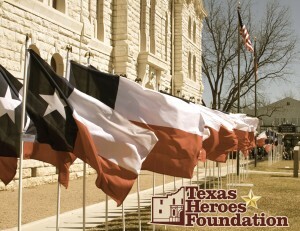 On November 17, 1835, after Francis Smith convinced the people of Cincinnati, Ohio, to aid the cause of the Texas, the Ohioans began raising funds to procure two cannons and their attendant equipment for Texas. Since the United States was taking an official stance of neutrality toward the rebellion in Texas, the citizens of Cincinnati referred to their cannon as “hollow ware.” Two guns, probably six pounders, were manufactured at the foundry of Greenwood and Webb in Cincinnati and then shipped down the Mississippi to New Orleans. William Bryan, an agent of the Republic of Texas in New Orleans, took official possession of the guns on March 16, 1836. From New Orleans the guns were placed on the schooner Pennsylvania and taken to Galveston Island. For some reason they were not accompanied by their limbers and ammunition, perhaps because the dangerous military situation in the republic did not allow for any delays. The cannons arrived in Galveston at the beginning of April 1836. On board the Pennsylvania was the family of Dr. Charles Rice, who was moving to Texas. Upon arrival in Galveston the guns were presented to representatives of Texas under the sponsorship of Dr. Rice’s twin daughters, Elizabeth and Eleanor. Someone in the crowd made notice of the fact that there were two sets of twins in the presentation, the girls and the guns, and thus the cannons became the Twin Sisters. After several unsuccessful attempts to get the Twin Sisters to the Texas army under Sam Houston, which was retreating before the forces of Gen. Antonio López de Santa Anna in the runaway scrape, the Twins finally reached the army on April 11, 1836. A thirty-man artillery “corps” was immediately formed to service the guns, the only artillery with the Texas army, and placed under the command of Lt. Col. James Clinton Neill. Only nine days later the Twin Sisters saw their first action during a skirmish between the armies of Houston and Santa Anna on April 20. In this fight Neill was wounded, and command of the guns passed to George W. Hockley. The next day, April 21, 1836, saw the battle of San Jacinto and the securing of fame for the Twin Sisters. That afternoon near the banks of Buffalo Bayou, the Texas army struck at Santa Anna’s unsuspecting troops. The Twins were probably near the center of the Texans’ line of battle and ten yards in advance of the infantry. Their first shots were fired at a distance of 200 yards, and their fire was credited with helping to throw the Mexican force into confusion and significantly aiding the infantry attack. During this battle the Twins fired handfuls of musket balls, broken glass, and horseshoes, as this was the only ammunition the Texans had for the guns. Among the crews serving the guns were several men who later made prominent names for themselves in Texas history, including Benjamin McCulloch, a future Confederate general who helped bring the Twins back from oblivion in 1860. In 1840 the Twins were reported to have been moved, along with other military stores, to Austin, where on April 21, 1841, they were fired in celebration of the fifth anniversary of the battle of San Jacinto. When Sam Houston was inaugurated as president of the republic that year, the twins were fired as Houston kissed the Bible after taking the oath of office. Little is known about them after this. In 1845 Texas was annexed by the United States. Under the terms of annexation the state was to cede to the federal government “all fortifications, barracks, ports and harbors, navy and navy yards, docks, magazines, arms, armaments, and all other property and means pertaining to the public defense.” Historians have questioned whether the Twin Sisters, which were by 1845 considered to be historical relics with little military value, were in fact turned over to the United States. But evidence indicates that they were, and certainly the government of Texas and its citizens believed that they had been. All Texas military stores were removed to the federal arsenal at Baton Rouge, including the Twins, and there they remained unnoticed and neglected for fifteen years. Then came the election of Abraham Lincoln and the secession crisis. Even before Texas called the Secession Convention, men were beginning to think about preparing for war. McCulloch, recalling his service with the Twin Sisters at San Jacinto, thought that these guns should once again be on Texas soil. He wrote to Governor Houston informing him of the current status of the Twins. Houston agreed and wrote to the United States secretary of war asking for the return of the Twins. Before action could be taken on this matter, however, Texas had seceded from the Union. The Texas Secession Convention appointed a commission to ask Louisiana for the return of the Twin Sisters, but inquiries showed that the cannons had been sold to a foundry in Baton Rouge as scrap iron some years before. George Williamson, commissioner for Louisiana to the state of Texas, discovered that one of the guns was still at the foundry, although in poor condition, and that the other had been bought by a private citizen in Iberville Parish. Having found the cannons, Williamson asked the Louisiana legislature to purchase and repair them before presenting them to the state of Texas. The Louisianans passed an appropriation of $700 to “procure the guns, mount the same in a handsome manner,” and forward them to Texas. The guns arrived on April 20, 1861, the twenty-fifth anniversary of their original firing. 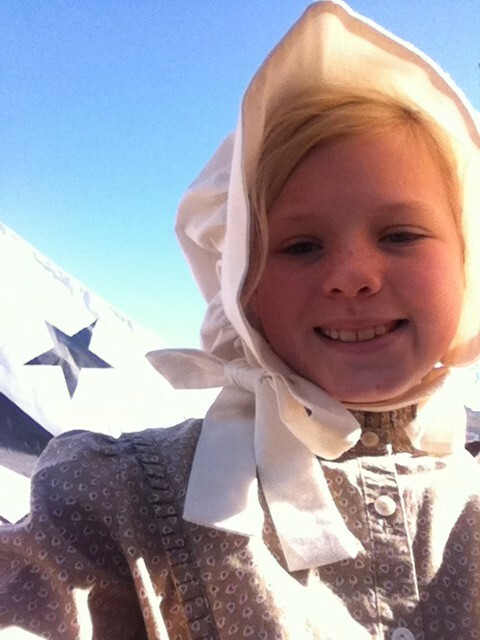 The Twins next appeared during the battle of Galveston, January 1, 1863. Lt. Sidney A. Sherman, son of Texas revolutionary hero Sidney Sherman, was killed while in command of one of the Twin Sisters at that battle. After the recapture of Galveston the Twins once again disappeared until November 30, 1863, when Maj. A. G. Dickinson, commander of the Confederate post at San Antonio, reported that they were in the rebel arsenal at Austin, although in very poor condition. On February 8, 1864, Lt. Walter W. Blow wrote to Col. John S. (Rip) Ford, who was preparing an expedition to recapture the Rio Grand from federal troops, that he was preparing to send the Twins to San Antonio so that they could accompany Ford’s command. However, there is no certainty that the cannons actually accompanied Ford on his campaign. Blow’s February 1864 report is the last official and certain mention of the Twin Sisters. There are various stories as to their fate at the end of the war. One of the most intriguing and plausible is that a group of Confederates led by Henry North Graves buried the guns to prevent their removal by Union forces in August 1865 somewhere in either Houston or Harrisburg. Graves’s story is backed up by the diary account of a Union soldier, M. A. Sweetman, who reported having seen the Twins near Market Square in Houston on July 30, 1865. He recognized them by the presentation plaques attached to them by the state of Louisiana when they were returned to Texas in 1861. However, this report, like all others regarding the final fate of the Twins, has never been conclusively proved. To this day the Twin Sisters’ final resting place remains a favorite Texas mystery. George Washington Hockley (1802-1854), was the chief of staff of the Texas army during the Texas Revolution. Unlike the high ranking political appointees of today who enjoy plush accommodations, perks and lifestyles, high rank in Texas usually meant a closer proximity to the heat of battle. A humorous exception to this, as noted in a previous article was the very popular Davis father and son who, after enduring the privations of the “runaway scrape” with a passion to fight Mexicans, were ordered by Sam Houston personally to “Stand under that tree and fiddle for the entire battle”. He was born in Philadelphia in 1802. As a young man he moved to Washington, D.C., where he worked as a clerk in the commissary division of the War Department and met Sam Houston, who later influenced him to move to Tennessee when Houston became governor there in 1828. Hockley followed Houston to Texas in 1835 and was made chief of staff upon Houston’s election as commander-in-chief of the Texas army. At the battle of San Jacinto Hockley was in command of the artillery, which consisted of the Twin Sisters. Later he was one of those who accompanied Antonio López de Santa Anna and Juan N. Almonte to Washington, D.C. It is amazing just how many story lines there are to pursue from those early days of Texas Independence and perhaps we shall pick up this one at a later date. The reader is encouraged to pursue these for some really good looks at the life and times of those who established Texas. The friendship between Hockley and Houston continued after the revolution. Houston appointed him colonel of ordnance on December 22, 1836, and secretary of war on November 13, 1838, and again on December 23, 1841. Houston also sent Hockley with Samuel M. Williams in 1843 to arrange an armistice with Mexico. Hockley made his home in Galveston. He died in Corpus Christi on June 6, 1854, while visiting Henry L. Kinney, and was buried in the Old Bayview Cemetery at Corpus Christi, where in 1936 the state erected a monument at his grave. Zachary T. Fulmore, History and Geography of Texas As Told in County Names (Austin: Steck, 1915; facsimile, 1935). Sam Houston Dixon and Louis Wiltz Kemp, The Heroes of San Jacinto (Houston: Anson Jones Press, 1932). When I was a boy growing up in the Texas Panhandle, Hereford was known nationally as “the town without a toothache” due to the nearly perfect natural fluoridation of the water supply. The fact that it was the county seat of Deaf Smith county was not of general interest. All we school kids knew of Deaf Smith was that he was the rough looking chap seated under the oak tree by the wounded Sam Houston at San Jacinto. The teachers could well have looked to the old timers in the community for the correct pronunciation of his name which was “Deef”, not deaf. The trite old colloquial phrase was that he was “deef in one ear and couldn’t hear out of the other”. His story has all the twists and intrigues typical of the legendary heroes of the day. Perhaps he could have been billed as “the New Yorker at San Jacinto” since he was born in Duchess County\, New York on April 19,1787. When he was twelve his parents moved to Natchez in the Mississippi Territory where a childhood disease caused him to lose his hearing. After visiting Texas in 1817, he returned to stay in 1821. He settled near San Antonio and married a Mexican widow by the name of Guadalupe Duran with whom he had three daughters. In 1825 he and five other men settled in the Green DeWitt colony which was located about a mile from Gonzalez and was one of the earliest American settlements west of the Colorado. Life must have been good in those days of freedom and opportunity under the newly minted Mexican Constitution of 1824. His loyalty to Mexico was broken at the outbreak of the Texas Revolution when a Mexican sentry refused to allow him to enter San Antonio to visit his family. He then joined Stephen F. Austin’s resistance forces He took part and was a principal in certain key events that were in the mainstream of the War of Texas Independence. He took part in the Battle of Conception on October 28,1835. He discoved the Mexican supply train that figured in the “Grass Fight”. His prominence increased when he guided Col Francis Johnson’s men into San Antonio during the siege of Bexar. On December 8, his path crossed that of fellow patriot Jim Bowie, in a manner of speaking, when he was wounded while fighting on the top of the Veramendi Palace, the residence of Bowie’s father in law, Governor Juan Martin de Veramendi. His wound occurred at almost the same time that Ben Milam was killed by a shot fired through the front door of this palace. Governor Henry Smith later said of Smith; “He was well known to the army for his vigilance and meritorious acts and his services as a spy cannot well be dispensed with”. After regaining his health, he served as a messenger for William B. Travis who referred to him as “the bravest of the brave in the cause of Texas”. All Texans have heard of Travis’s famous “letter to the world” from the Alamo but there will be few who can tell you that it was Deaf Smith that carried it on that fateful day, February 15th, 1836. 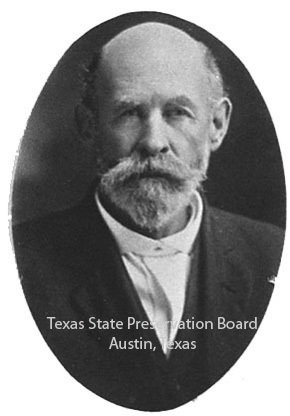 Houston sent Smith and Henry Karnes back to learn the status of the Alamo and he confidently told Thomas Rusk; “Smith will return with the truth about the garrison, if still living, and all important details”. 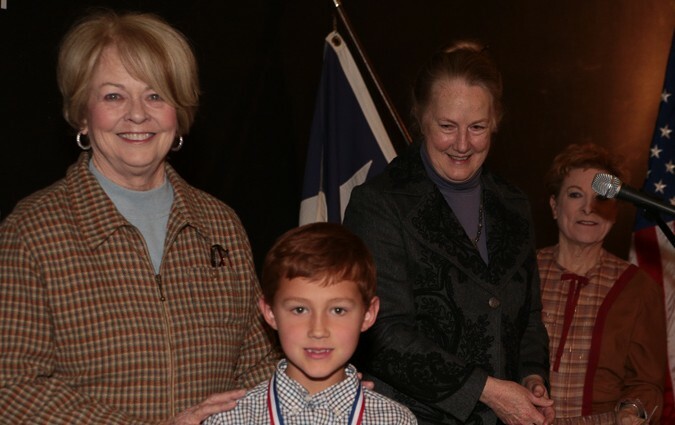 Smith’s role in history was still far from done as it was he who escorted Susanna Dickenson and her daughter Angelina back to the safety of Houston’s camp. During the San Jacinto campaign, he captured a Mexican courier bearing dispatches to Santa Anna and on April 21st, armed with axes, he demolished Vince’s Bridge over Buffalo Bayou assuring that only one army would leave the field of battle intact. After his capture, Santa Anna, to save his life, wrote a letter to Gen Vincente Filisola to evacuate Texas. Houston entrusted the delivery of Santa Anna’s letter to Filisola to Deaf Smith for delivery. After the war was won, Smith’s service to Texas was still not done. He resigned his commission in the army and raised and commanded a company of Texas Rangers. On February 17, 1837 his company defeated a band of Mexicans at Laredo. After he resigned from the Rangers, he moved to Richmond where he died at the home of one Randal Jones on November 30, 1837. When he heard of his death, Sam Houston wrote to Anna Raquet; “My friend Deaf Smith , and my stay in my darkest hour, is no more!! A man more brave and honest never lived. His soul is with God but his fame and his family must command the care of His Country”. A monument commissioned by the 41st legislature was unveiled to his memory on January 25, 1931 at his grave in Richmond. Deaf Smith County is named in his honor. 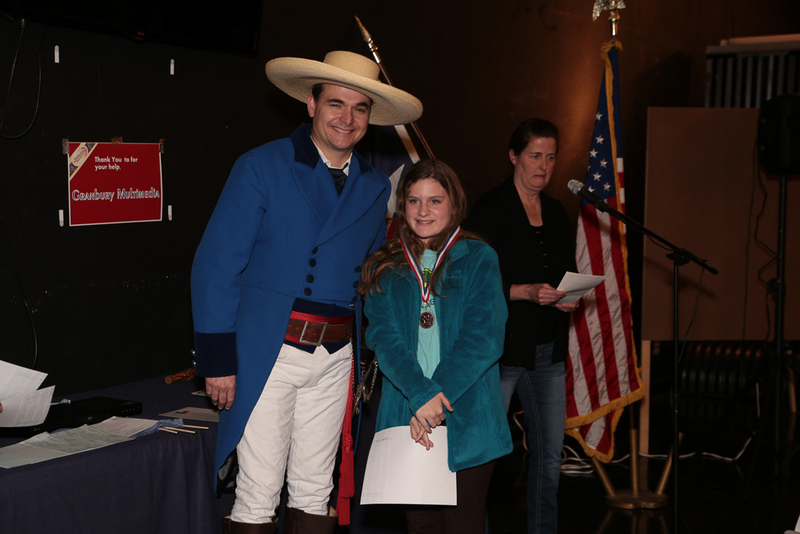 The Texas Independence Day Celebration of North Texas at Granbury was brought to life this year through reenactments, parade and other commemorative events. The arrival of student history exhibits has been overwhelming. The room we had reserved is full, and running over. We never expected the great amount of response that this part of our celebration would elicit. We are thrilled beyond words, and you will be impressed to witness the creativity of our children. 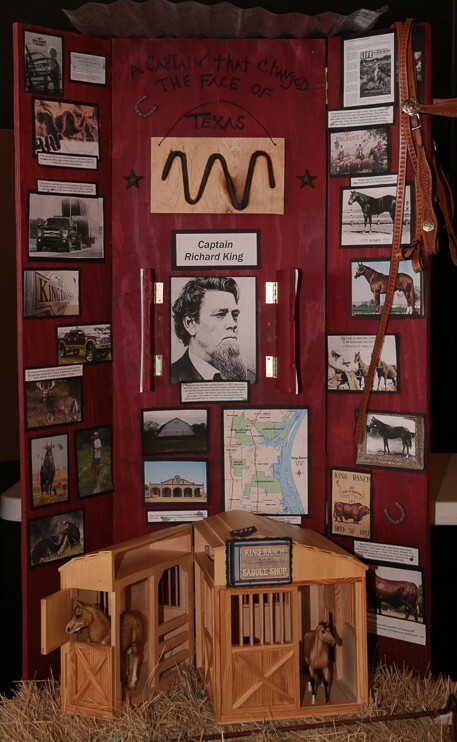 The exhibits will all be on display next week-end inside the Hood County Courthourse. You will not want to miss seeing these projects.